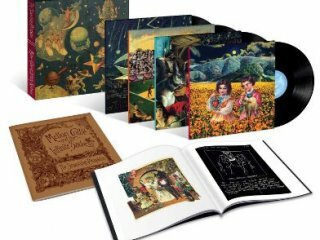 LP Box Set ~ Limited edition original US 28 track quadruple heavyweight 180gm vinyl box set with picture sleeves and printed inners plus 2 full size booklets featuring band member notes, photos, lyrics, and additional art and photos. Outer box (no hyp..
LP Box Set ~ Limited edition European / UK quadruple vinyl box set with full size lyric / artwork booklet. Comprises; 12 track remastered double heavyweight 180gm vinyl issue in custom stickered sleeve with printed inners plus "Uber Remixes" 4 track b..
LP Box Set ~ Limited edition US remastered 21 track 6 x heavyweight 180gm 45 RPM vinyl edition in lidded box (no hype sticker present) with printed belly band and 3 panel double-sided booklet. Each record is in it's own picture sleeve. Outer box and b..
Vinyl LP ~ Limited edition European / UK full picture disc collection set in scarce mail order only slipcase box. 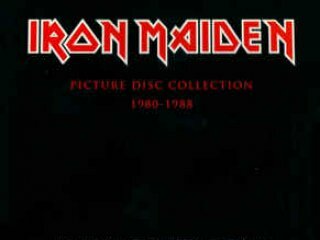 Slipcase box is glossy finish with Iron Maiden logo on front and pictures of the 8 picture disc LPs on reverse side - produced in small..
7" Box Set ~ Limited edition US 7 x 7" vinyl box set in custom stickered sleeve with booklet and custom made record adaptor. 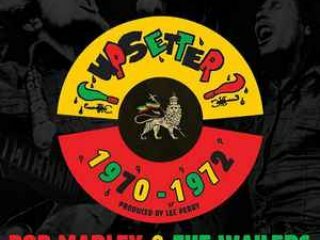 Features the singles; My Cup, Mr. Brown, Man To Man, Kaya, Small Axe, More Axe and Keep On Moving. Golden Lane Records. 2013. .. Simple Minds - Glittering Prize - CLUB MIX - 2 TRACK 12"
12" Single ~ Original UK 2 track 112" issue in picture sleeve - features Club Mix. Excellent con..
12" Single ~ Original UK (EEC pressed) track 12" issue in picture sleeve. Big Beat Records. 1984..
Psychedelic Furs, The - All That Money Wants - 3 TRACK 12"
Eurythmics - Never Gonna Cry Again - 2 TRACK 12"
12" Single ~ Original UK 2 track 12" issue in picture sleeve. Mild shelf rub to sleeve. RCA Reco..
Sugarcubes, The (Bjork) - Walkabout - 3 TRACK 12"
12" Single ~ UK 3 track 12" issue in picture sleeve. Minor solitary superficial surface mark to ..
Sugarcubes, The (Bjork) - Planet - US PROMO 3 TRACK 12"
12" Single ~ US promo 3 track 12" issue in stickered sleeve. Small notch cut to sleeve near top ..
Sugarcubes, The (Bjork) - Planet - 4 TRACK 12"
12" Single ~ UK 4 track 12" issue in picture sleeve. Light signs of storage around sleeve. One L..
Sugarcubes, The (Bjork) - Hit - GATEFOLD SLEEVE 3 TRACK 12"
12" Single ~ UK 3 track 12" issue in gatefold lyric picture sleeve. One Little Indian records (e..
12" Single ~ UK (French pressed) 3 track MFN cream label issue in picture sleeve (without "Made ..
Misty In Roots - See Them Ah Come - 2 TRACK 12"
12" Single ~ Scarce UK (made in France) 2 track 12" issue in picture sleeve. Light signs of stor..
12" Single ~ UK / European 2 track 45 rpm issue in picture sleeve. 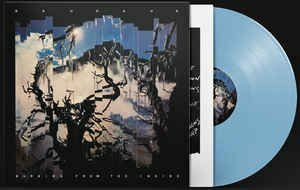 Features "Astronomy Domine" a..
12" Single ~ European / UK remastered 2 track heavyweight 180gm vinyl 12" issue in embossed pict..
12" Single ~ European / UK remastered 3 track heavyweight 180gm vinyl 12" issue in picture sleev..
12" Single ~ European / UK remastered 2 track heavyweight 180gm vinyl 12" issue in white picture..
12" Single ~ European / UK remastered 2 track heavyweight 180gm vinyl 12" issue in green picture..